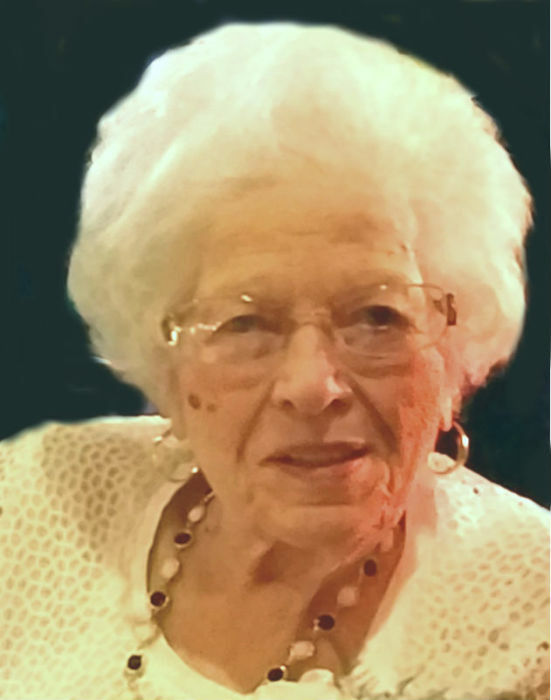 Obituary for Concetta (Scaccia) Miceli | Dalfonso - Billick Funeral Home Inc.
Concetta (Scaccia) Miceli, 86, of Monessen, passed away on Thursday April 4, 2019 at her home. She was born on March 30, 1933 in Alia Sicily, Italy, the daughter of the late Salvatore and Guiseppina (DiPiazza) Scaccia. Mrs. Miceli came to the United States as a teenager and was a 1953 graduate of Monessen High School. She worked for Brookvale Clothing Factory as an inspector for over 20 years. Mrs. Miceli was a member of the Epiphany of Our Lord Church in Monessen, and a former member of the Italian-American Heritage Society and the Epiphany Ladies. Surviving are her daughter Mary Ann Miceli, with whom she made her home; two sons, Alfredo "Al" (Francine) Miceli of Rostraver Twp., Salvatore "Sam" (Annette) Miceli of Speers; four grandchildren, Alexandra (William) Marks, Dr. Lia Miceli, Philip Miceli, and Samuel Miceli all of Speers; a nephew, Joseph Scaccia of Monessen; and a niece, Toni (John) Orsino of North Huntingdon. In addition to her parents, she was preceded in death by her husband Alfred A. Miceli, a granddaughter Katie Ann Miceli, a sister Rosalia Scaccia, and a brother Giuseppi Scaccia. Friends will be received in Dalfonso-Billick Funeral Home Inc. and Cremation Services, 441 Reed Ave. Monessen, on Sunday April 7, 2019 from 1 to 3 pm and 6 to 8 pm. Services will be held on Monday beginning with a 9:30 am Blessing in the funeral home, followed by a 10:00 am Funeral Mass in Epiphany of Our Lord Church, 44 Pennsylvania Blvd. Monessen, with Rev. Michael J. Crookston officiating. Interment will follow in the Grandview Cemetery, Monessen. Condolences accepted for the family at www.dalfonso-billick.com.